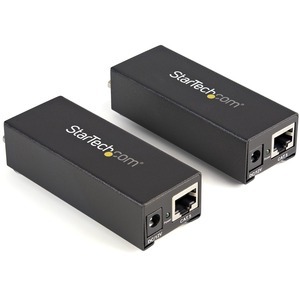 StarTech.com's Converge A/V ST121UTPEP VGA-Cat5 extender lets you connect a remote VGA display/projector to a local PC or media player with a total connection distance of up to 80m (250ft) between the VGA signal source and the intended display/projector. The ST121UTPEP includes both local and remote VGA baluns, transmitting the extended VGA over Ethernet (Cat5e UTP cable, terminated with RJ45 connectors). 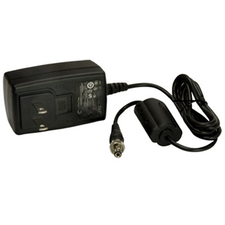 Offering convenient and cost-effective VGA distribution, the ST121UTPEP only requires one power adapter, installed at either the local or remote balun, wherever is most convenient for the application. 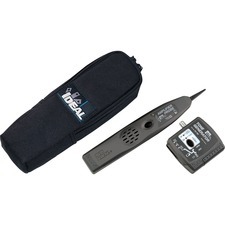 To ensure a tidy installation, the ST121UTPEP includes a mount for the receiver so that it can be fixed onto to the back of a display, eliminating unnecessary cable tangles.